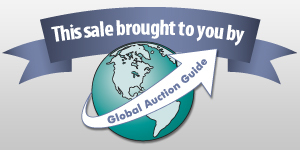 Auction Listings in North Carolina - Auction Auctions - Johnson Properties Realtors & Auctioneers, Inc.
Classic Car Collectors & Restorers Auction! Announcement:Information contained herein is presented on behalf of the seller. Johnson Properties Realtors & Auctioneers, Inc., agent for the seller, cannot guarantee the information to be correct or assume the liabilities for errors and omissions. All lines drawn on maps are approximate. Buyers should verify the information to their own satisfaction. Any announcements made from the auction block on day of auction will take precedence over any matter of print and will be final. 1947 Dodge 2 Door Coupe Color: Rust Notes:All the pannels are there, and they are in ok shape. The original motor is also there. This is a good start for a rat rod, or cool custom. NO TITLE conveys with this vehicle; transfer via a Bill Of Sale Only. 3 2 barrel intake manifold, "3 deuce"